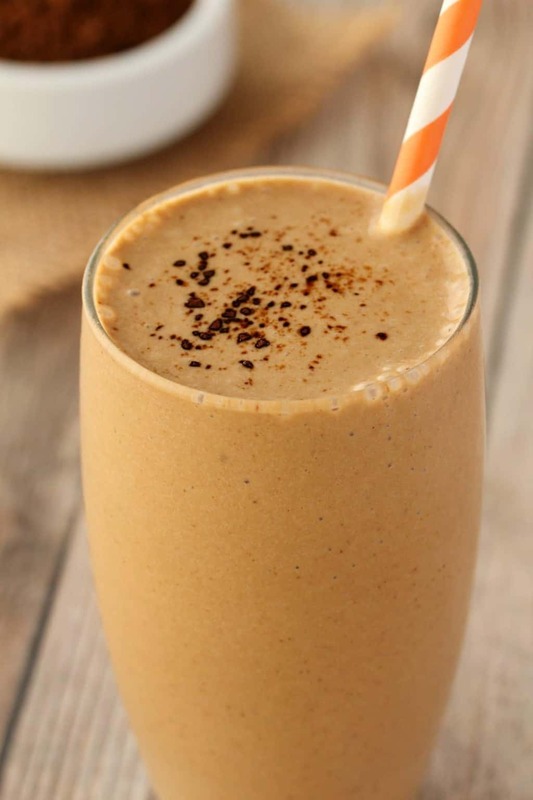 This vegan coffee smoothie is soooo delicious. 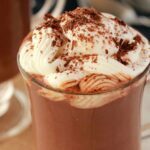 It’s perfect for summer mornings when you want your coffee fix but don’t want hot drinks! 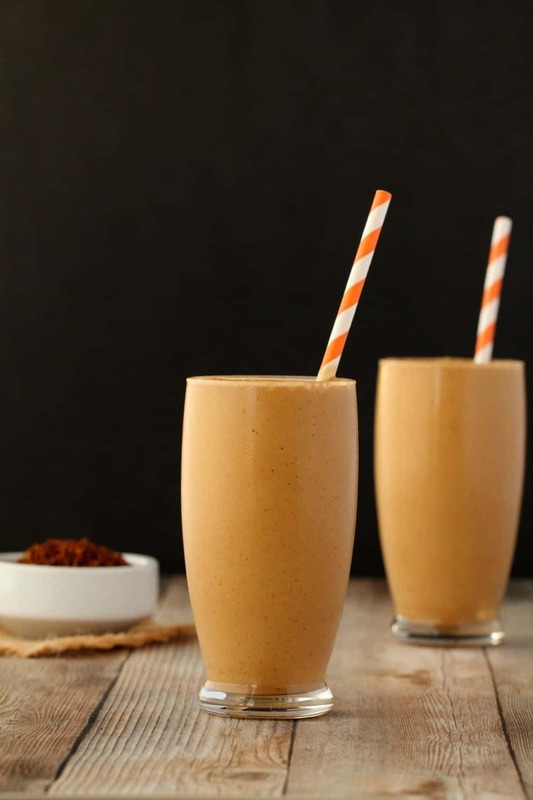 And yes, you could have a vegan iced coffee, which is a great idea too, but what if you want your coffee and your breakfast in one? Then you want this shake! 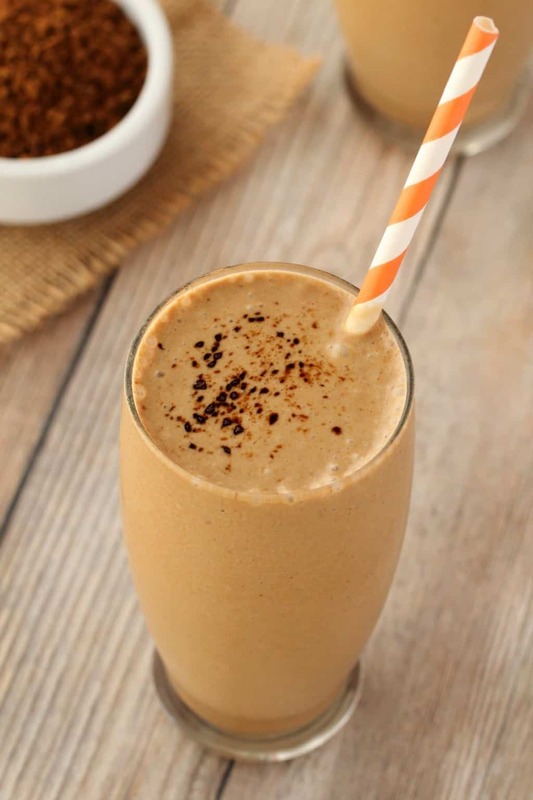 It’s amazingly easy to make this, 5 super simple ingredients, a quick blend in the blender and you have your breakfast smoothie and coffee in one go. The only thing you need to prepare in advance is frozen bananas. 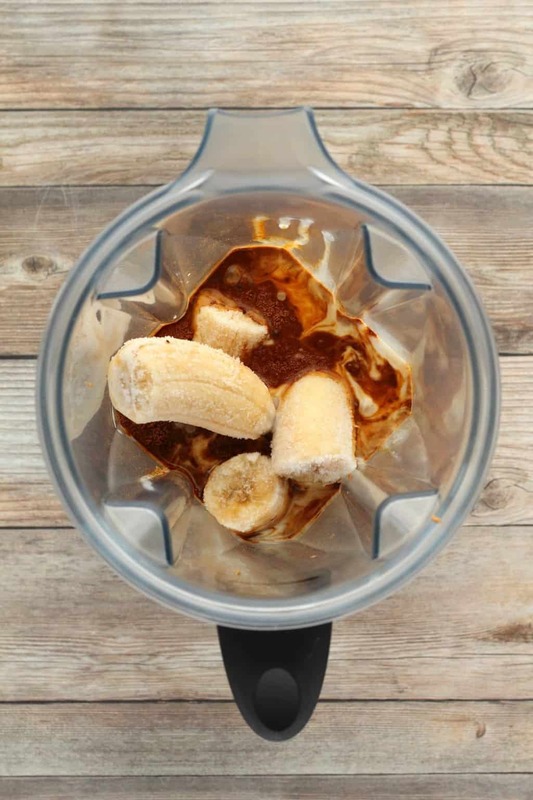 The best thing to do is freeze any excess ripe bananas that you have on hand, peel them, break them into quarters and place them in freezer bags, so that whenever you want to make a smoothie, your freezer is already well stocked. 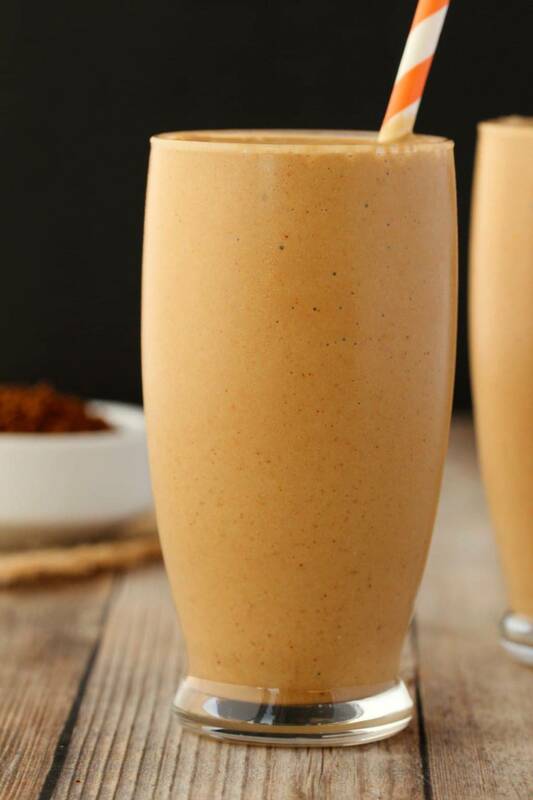 I used light coconut milk in this coffee smoothie, but if you wanted to use a different non-dairy milk you could absolutely do it too, or go for full fat coconut milk if you want it to be really rich. I also used almond butter because I feel like almond butter and coffee are a great flavor match, but you could also substitute this for another nut butter if you want to switch things up. Peanut butter would work great too. 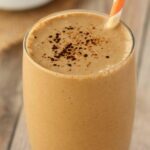 And then I used my latest favorite thing which is instant espresso powder, which I also used in our vegan iced coffee. I’m quite a fan! But really any instant coffee powder is going to work great here, so whatever you usually use. I used 4 tsp which for me is quite strong, but I found it totally delicious. If you prefer it milder, 2 tsp would also be fine, and of course if you like it really strong, go wild! 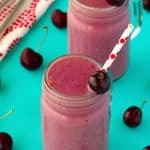 This is a smoothie that you want to drink fairly soon, you want it nice and cold and you want to drink it within an hour so that the bananas don’t oxidize. It’s not something you’ll make in advance and then drink hours later. But when it’s freshly made, it’s a real treat. Sign up to our email list for a gorgeous (and free!) 10-recipe ebook and to stay updated with all our latest recipes posted to the blog. 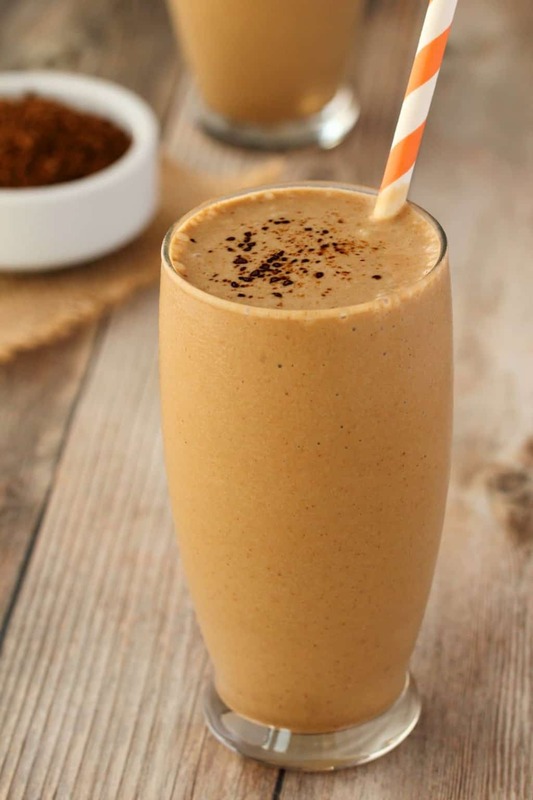 Smooth and creamy vegan coffee smoothie. 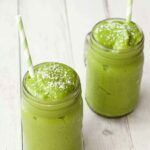 Simple 5-ingredient recipe that is ready in 5 minutes, perfect for when you want breakfast and coffee in one! 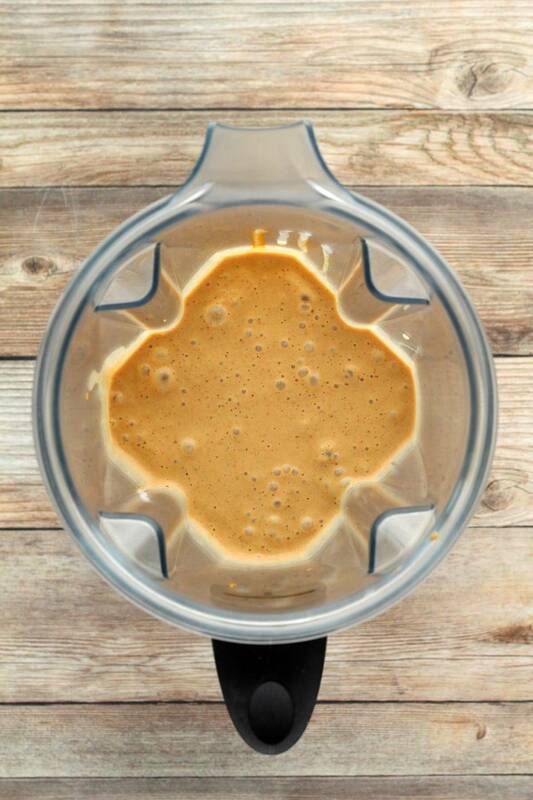 Add the coconut milk, frozen bananas, almond butter, instant espresso powder and maple syrup into your blender jug and blend until smooth. Pour out into two glasses and serve. 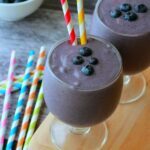 *You can use full fat coconut milk if you want this recipe to be richer, or switch for a different non-dairy milk. *You can sub any instant coffee powder for the instant espresso powder. Use less coffee if you prefer a milder flavor. 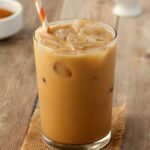 Vegan Iced Coffee – Creamy and Smooth! 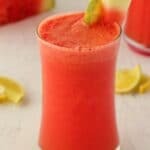 Watermelon Smoothie – Super Easy, 2-Ingredients!